Not all your customers have the same expectations or the same buying behaviour. 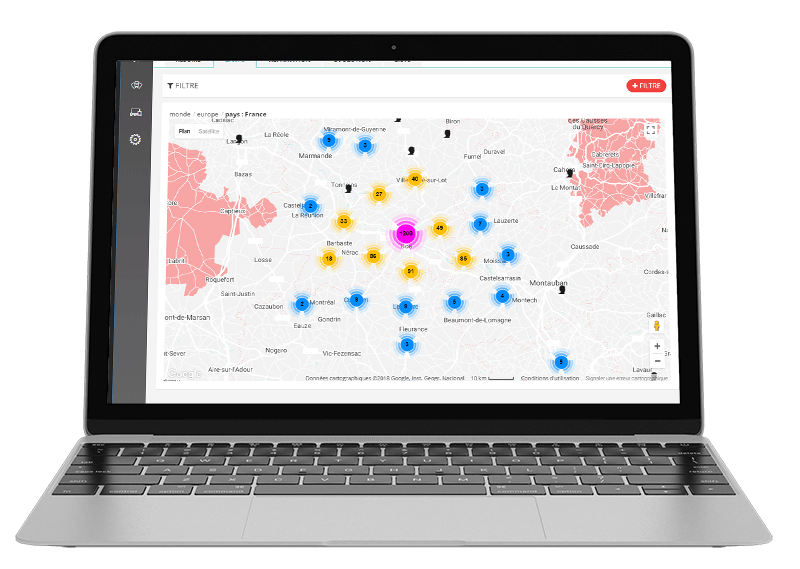 It is precisely through segmentation and the use of your data that you develop your customer knowledge and ensure that certain consumption habits emerge from it. Adelya’s CRM collects and cross-references many types of data in order to determine several customer profiles, including the regular ones, the volatile ones, the inactive ones and the high-end ones, amongst others. This information is converted into diagrams and tables, delivering a comprehensive overview of your activities and customer typologies. 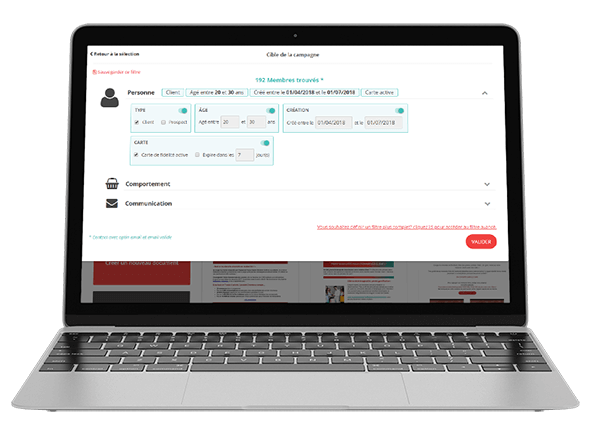 On Loyalty Operator, you can create homogeneous groups that serve, for example, to precisely target an e-mail or SMS campaign. 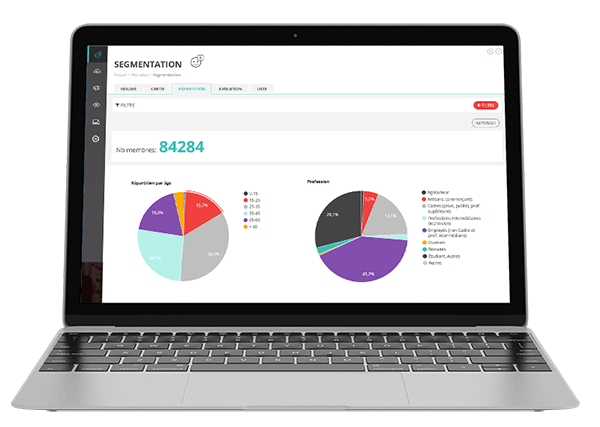 Segmentation enables you to target your communications and marketing promotions in order to reach a specific segment of your customer base. By addressing a homogeneous target, you can send the right message and optimise the effectiveness of your actions. 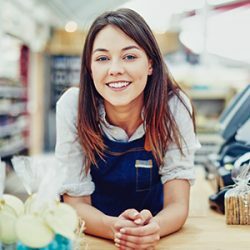 WHAT BENEFITS ARE THERE FOR ME AS A RETAILER? 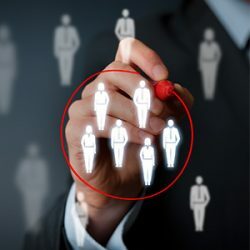 The segmentation of your customers enables you to give more weight to your actions. For example, a promotional campaign targeted only at customers who have not recently made a purchase will be more effective. By isolating each customer segment, you get to know them and can respond more effectively to their needs. Do you have a question regarding our offer? 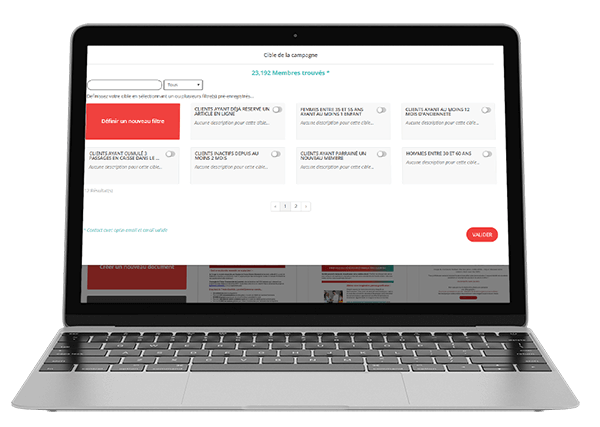 Would you like to try a trial version of our tool?